That's according to a new filing by Wells Fargo (WFC), which disclosed claims of "retaliation" by ex-employees. Wells Fargo has been at the center of a number of scandals over the past year. This filing addresses two in particular -- when the bank forced thousands of customers into car insurance they didn't need, and when it wrongly charged homebuyers to lock in mortgage rates. Wells Fargo said on Friday that one former employee "has alleged retaliation for raising concerns regarding automobile lending practices." The bank declined to give further information about this specific claim. The same Wells Fargo filing said several other former mortgage employees claim "they were terminated for raising concerns" about the improper mortgage rate fees. The bank didn't specify how many workers made these claims, but indicated that there is least one lawsuit pertaining to these issues. 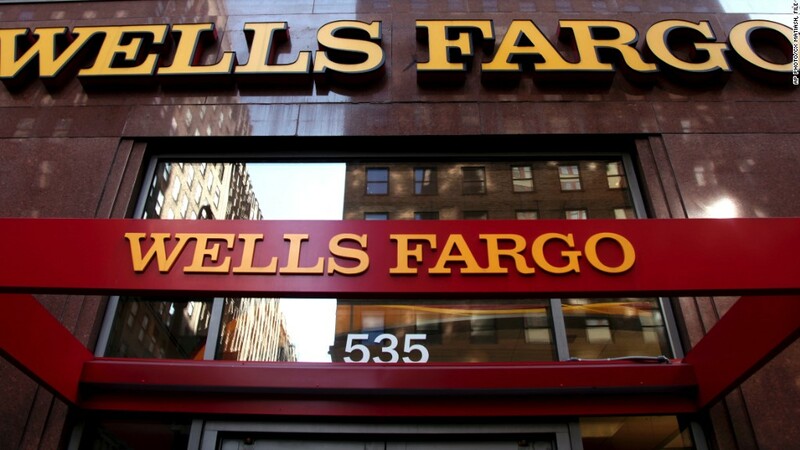 One suit was filed in July by former Wells Fargo mortgage consultant Mauricio Alaniz, and was previously reported by USA Today and the LA Times. In a statement, Wells Fargo said "we deny Mr. Alaniz's claims regarding the reasons for his termination." The bank declined to comment further due to the ongoing litigation. The Labor Department, which investigates retaliation matters, said in a statement that it "does not acknowledge or deny the existence of a complaint." Ex-employees shared similar claims of retaliation last fall with CNNMoney regarding the bank's infamous fake account scandal. At that time, several former employees said they were fired after reporting wrongdoing to the bank's ethics hotline. Taken together, the allegations speak to a common thread at Wells Fargo where scandals are often accompanied by worker retaliation claims. Indeed, Wells Fargo said in the filing that it faces a "range of employment litigation," including pending class action lawsuits brought by former employees "who allege that they protested sales practice misconduct." The bank said it also faces multiple complaints and state law whistleblower actions filed with the Labor Department alleging retaliation. Earlier this year, Wells Fargo was ordered by the Labor Department to pay $5.4 million and rehire a whistleblower who was fired after calling the ethics hotline to report suspected fraud. Tim Sloan, who was promoted to CEO to clean up Wells Fargo's mess, has insisted employees won't face retribution for flagging unethical behavior. "It is safe to call the ethics line," Sloan told CNN's Poppy Harlow in April. He added that "one instance of retaliation" is "completely unacceptable." Wells Fargo's filing Friday also indicates that its auto insurance woes might be worse than previously disclosed. In July, Wells Fargo apologized for charging as many as 570,000 customers since 2012 for car insurance they didn't need. An internal review by the bank found that about 20,000 of those customers may had their cars repossessed in part due to this forced insurance. Unlike most big banks, Wells Fargo's auto loan contracts allowed the lender to obtain collateral protection insurance on a customer's behalf if they fail to buy liability coverage themselves. Wells Fargo conceded that it bought insurance for some customers -- and charged them for it -- even when they had their own. Wells Fargo said on Friday it will now accept refund requests for this matter dating back to October 15, 2005. The bank also raised its estimate for the cost of the auto insurance scandal to $130 million, up from $80 million previously. A spokesman for Wells Fargo said the expanded refund reflects the bank's desire to "make things right for our customers."